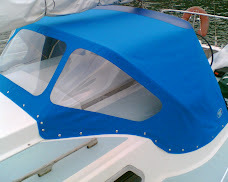 We actually make a variety of RIB covers, some to tie down to trailers, and others attached with RIB hooks for use on the water. 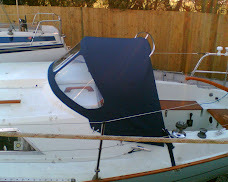 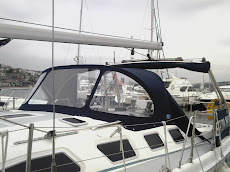 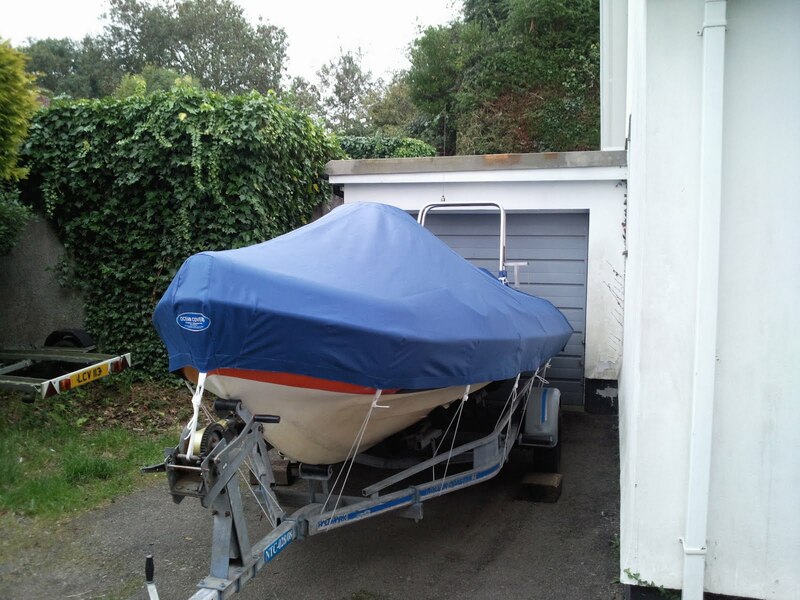 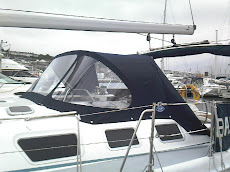 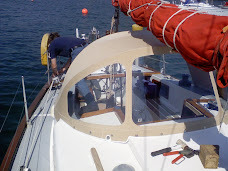 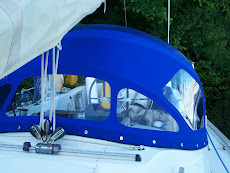 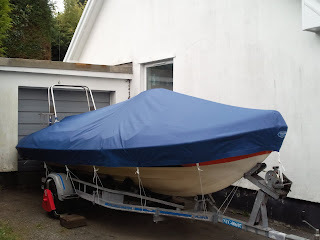 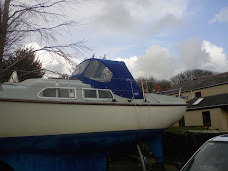 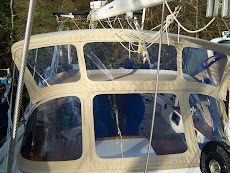 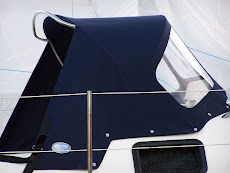 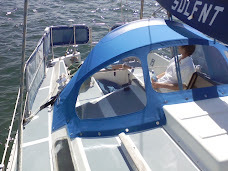 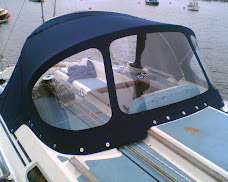 During the winter this 5.8m RIB is kept on a trailer, and has a small 'A' frame at the aft end, where we added cut-outs, tie collars and a flap to keep the water out, together with a zip for ease of removal. 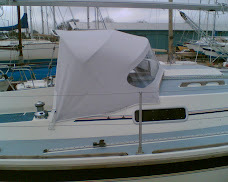 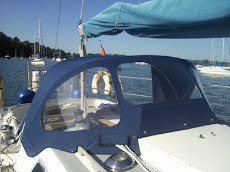 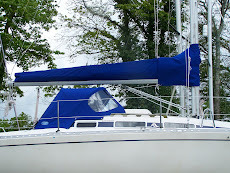 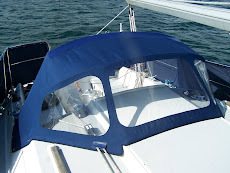 The cover also completely encloses the outboard.